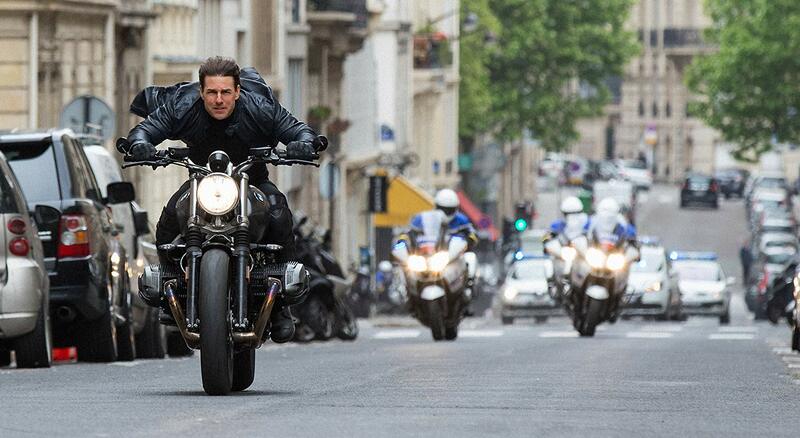 When it comes to pure action films, there are few who do it better than Mission: Impossible. 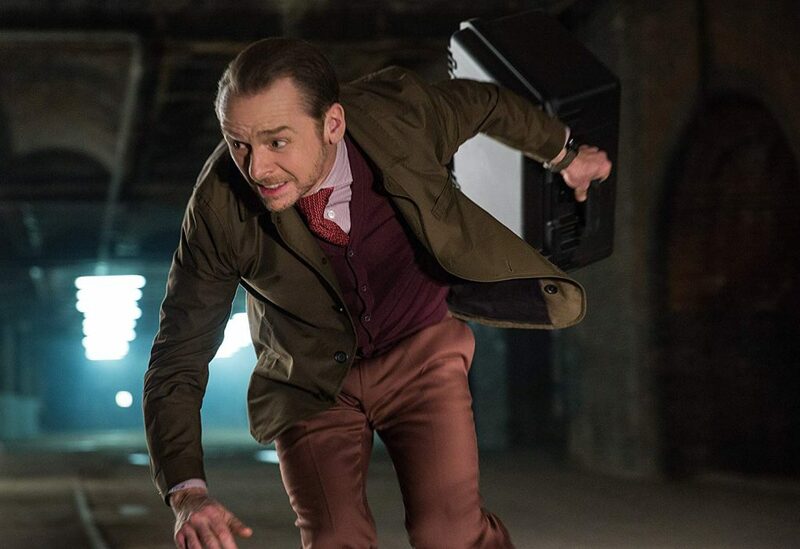 Although it started with the first film mostly being a spy/thriller adapted from a late 60s television show of the same name, the franchise has evolved into what some may consider one of the greatest action franchises of all time. Bold, I know, but it at least deserves to be in the forefront of the conversation. Every addition to the series has upped the bar under the direction of someone new, and although I sadly cannot explain the plots of every single one of them off the top of my head, the film’s breathtaking and beautifully-shot action sequences and stunts are what make these films stand above all others. 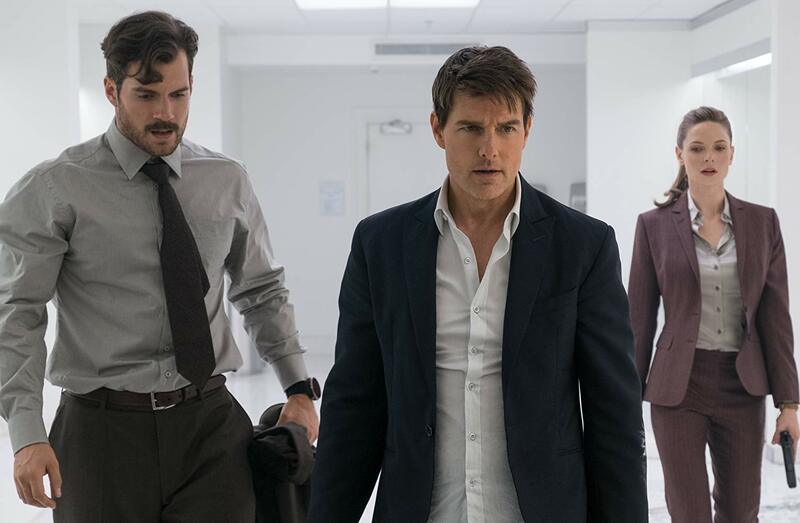 Mission: Impossible – Fallout is no exception and is by far, the best action film of 2018 we’ve seen. The story in Fallout is relatively simple, but of course like every M:I film, there are convoluted plot twists and head fakes along the way that might have the viewer puzzled for a short time. 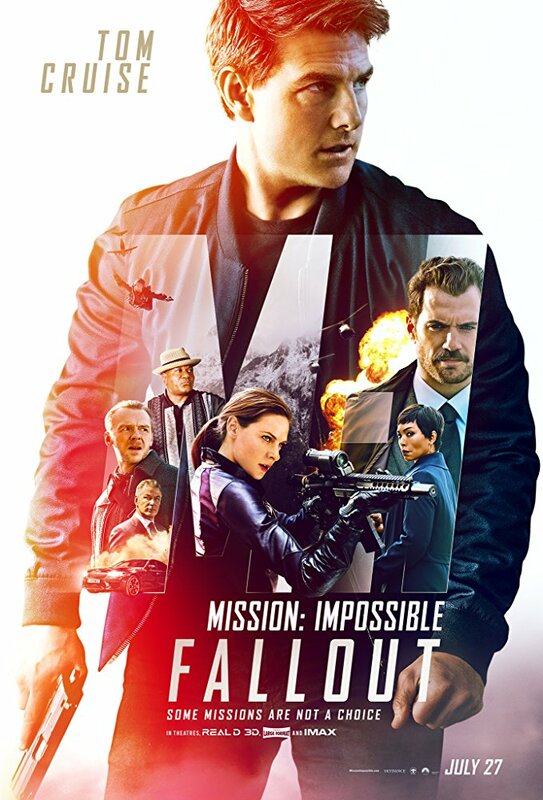 In this film, some plutonium is stolen by the Syndicate, and it’s up to Ethan Hunt (Tom Cruise) and his trusty IMF comrades (Simon Pegg, Ving Rhames) to find and stop them from making nuclear weapons. It should be noted here that if the Syndicate sounds familiar, it’s because this film is the first M:I film to actually tie heavily into its predecessor, Rogue Nation. Hunt is led down a rabbit hole of undercover operations to discover the locations of the plutonium and in for quite a bit of pushback along the way. Henry Cavill plays Walker, a CIA officer assigned specifically by Director Erica Sloan (Angela Bassett) to keep tabs on Hunt. Walker is known for his kill first, ask later method of operations so if Hunt gets out of line (which after six films, we know him to do frequently), it’s Walker’s job to contain him. I’ve actually never seen him outside of playing Superman in the DCEU and actually didn’t mind him here, although that mustache isn’t fooling anyone. I think he’ll always be Superman to me. What concerned me was the beginning of the film. For the first ten minutes or so, I wasn’t feeling it. The lens flare had me feeling like J.J. Abrams was directing again and the acting from Cruise and Rhames had me cringing and thinking to myself “you’re both better than this.” It’s not until the opening credits hit that the faults become plausible, however, and from that point on – the movie doesn’t slow down. The action in Fallout is incredible. Beginning with an adrenaline pumping skydive and crossing over into a relentless bathroom brawl, returning director Christopher McQuarrie (a first for this franchise) keeps the viewer’s blood flowing with nonstop action. A short while later there’s a fast-paced, edge of your seat car chase through the streets of Paris, and just when you think it’s over, it picks right back up for round two of fast cars and gunfights. 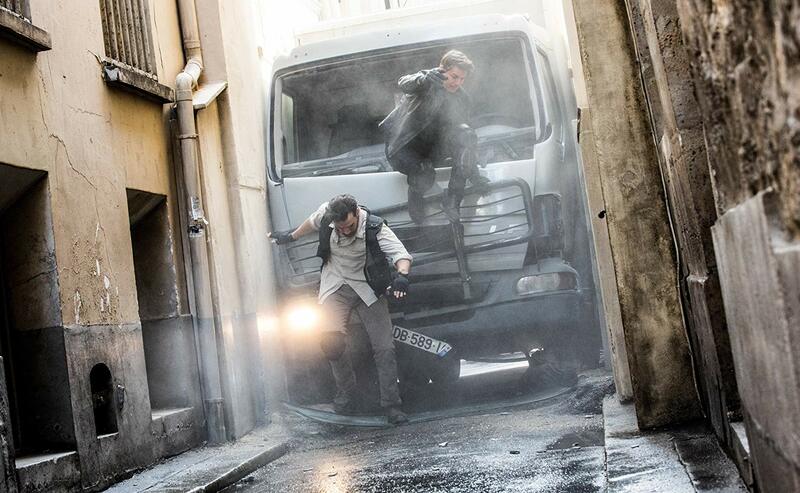 Say what you want about Tom Cruise, but what I think makes these action scenes even more remarkable is his adrenaline seeking go-getter attitude that compels him to do his own stunts. Throughout the entirety of this film, Cruise pushes his character to the limits. From thrilling car chases to parkouring across rooftops to hijacking helicopters (granted, the latter is immensely aided by CGI and the fantastic cinematography from Rob Hardy), Cruise really puts it all on the line and forces the immersion onto the viewer. If I could grade Fallout simply on the thrill ride that it provides through its action and imagery, I’d give it an A+ without a doubt. 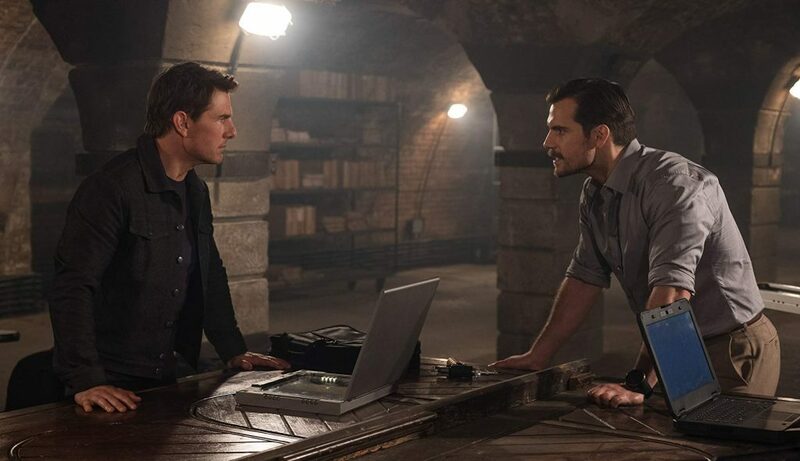 When it comes down to its plot, however, I’m afraid it’s going to end up like the rest of the Mission: Impossible films have for me – with the exception of the first film, indistinguishable amongst the rest. It’s still thoroughly entertaining and the epitome of a good summertime action flick. Though he graduated with a business degree, Brad's passion has always been the art of filmmaking. Living in St. Louis, he can be found cheering on the Cardinals and the Blues at the stadium or local sports bar. On a night in, he enjoys sitting back and catching up on movies and TV, and discussing his thoughts on them with his peers. Brad is also an avid Batman fan and video game enthusiast.